Chitty Chitty Bang Bang is determined to put herself back together even though the Tooting family thinks they are in charge of the refurbishing project. Dad loses his job and decides to fix those things around the house that he has not had time for. He is so overzealous with his home projects that Mom buys him a camper van to restore. She works at Unbeatable Motoring Bargains and it was a good deal. He and Jem (short for Jeremy) work for nearly two months lovingly taking things apart, cleaning and oiling them, and putting them together. The first time they start up the van, Jem notices a strange noise from the engine which he interprets as spark plugs misfiring. To find spark plugs that old, they must go to a salvage yard that has been in operation for years. In wandering amongst the wrecks, they find a huge engine in the top of a tree along with a steering wheel and a hand crank. Dad gets very excited and adds it to their camper van along with a few other parts that belong with the engine. Then, the next time they drive it, it drives itself, even going off a cliff. That activated a huge pair of wings and the camper van flew! The van takes the Tooting family to Paris and Cairo. Someone in the family had each wanted to go there so they didn’t think about the camper van taking them. In Paris, they find the headlamps. In Cairo, they find the wheels. But it is in Madagascar, when they find the car’s body, that Jem realizes these discoveries are not coincidences. The car even gives them her name with two long whirrs and two short bangs. After the car is in one piece, Jem also realizes that a villain named Tiny Jack has been after Chitty Chitty Bang Bang the whole time. To escape Tiny Jack and his evil Nanny, they accidentally discover another working bit: the Chronojuster – which is just a fancy word for time travel gizmo. 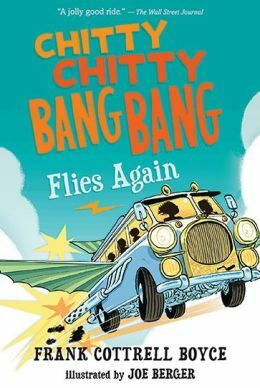 Ian Fleming wrote the original Chitty Chitty Bang Bang, which involved the Potts family and their adventures with the car. This new series has a new family and a new set of adventures but, the magical car has all its old charm. This is the sequel and it ends with a cliffhanger that leads into the next book: Chitty Chitty Bang Bang and the Race Against Time. The characters are delightfully eccentric, even the villain. This would make a good class read aloud. The fourth grade reading level makes this a good choice for reading buddies because the story would engage younger readers as well. Students can chart the countries where Chitty takes the Tootings for a geography and literacy activity. There is an activity kit, a teacher’s guide and a book trailer available at the publisher’s website: (http://www.chittyfliesagain.com/). 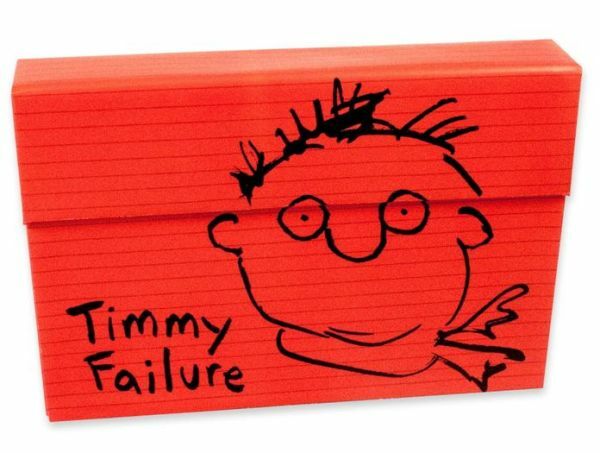 Timmy Failure is anything but. According to him, he is the founder, president and CEO of the best detective agency in town – no, make that the entire world. With his trusty business partner, his 1,500 pound pet polar bear named Total, they make up the brains and brawn behind his brilliant organization: Total Failure, Inc.
As Timmy tells his story, readers will quickly realize that he, in fact, can’t solve anything. He’s like a young Michael Scott from The Office, arrogant and clueless, yet somehow endearing. 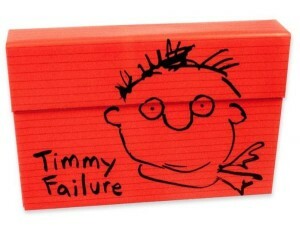 When Mom’s Segway goes missing, Timmy smells sabotage. He’s convinced his archrival, the One Whose Name Shall Not Be Uttered, had something to do with it. As Total busies himself with eating and napping, he has no choice but to enlist his idiot best friend, Rollo Tookus, to help him solve the case. If only Rollo spent less time studying and more time being like Timmy, he wouldn’t have ended up locked in a bank safe wearing a daisy costume. If only. In the end, all is restored and Timmy’s sweet side revealed, but not before he crashes a car into his teacher’s living room with a polar bear in the passenger seat. Just another day in Failure-land. Julie Albright is ecstatic about spending spring break with her dad. Though Julie doesn’t live far from her dad, in an apartment she shares with her older sister and mother, Julie only sees her dad every other weekend. And a week spent with her dad means she’ll also get to see her best friend, Ivy, just before Ivy’s family leaves for a wedding. Ivy asks Julie to pet sit her uncle’s talking parrot while the Lings are away, and Julie happily accepts. But only a short time after beginning her job as pet sitter, Julie realizes that Lucy, the talking parrot, has vanished from her cage! Who has taken Lucy, and why? 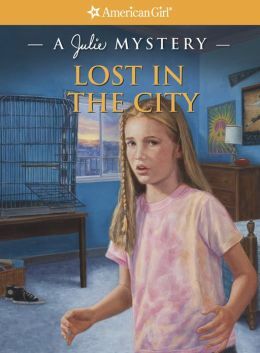 The more Julie investigates and attempts to solve the mystery, the more suspects Julie places on her list of “would-be” thieves. Did elderly, sometimes-grouchy Mr. Shackley rid of the noisy parrot? Did her friend and former classmate, Gordon, snitch the bird? Was her Aunt Maia the culprit? Was Mrs. Marino, Gordon’s mom hiding something? Could Pirate Pete, the pet store owner, be involved? Or had Uncle Lee kidnapped his own bird? The author does an exceptional job of keeping readers engrossed in the mystery and guessing about the mishap of Lucy until the very end of the story. All ends well, and Lucy is safely returned to her owner. An additional part of the book, a “Looking Back” section with photographs, discusses the wild parrots of Telegraph Hill, one of the San Francisco locations mentioned in the fictional story of Julie and Lucy and also elaborates on the height of the vegetarianism movement of the 1970s. This fourth grade level story would be especially beneficial to children who are going through or have gone through a family divorce. In the American Girl collection of books, Julie is currently the only Historical Character to be released with divorced parents, and the story touches on Julie’s parents, who have been divorced a couple of years, as well as her friend Gordon’s parents, who are in the process of divorcing. An informative website that would enhance science and reading activities relating to the story can be found at www.parrots.org. A plethora of information about almost 400 parrots, including photographs, is available under the “encyclopedia” tab. Jane Yolen who has written over 300 books and won numerous awards including a Caldecott for Owl Moon, Golden Kite, two Nebula and Christopher awards, etc., gives readers an insight into how she turned her passion into her career. Of course every one of her works can be read aloud and loved by preschoolers to 2nd graders and clear up to adults. On the Slant belongs on any reading lists for young authors to learn how to take criticism and make it into a published work or create a work space that enhances the creative juices to overflow. Jane also shares her life story, from her fascinating young childhood where she generated an apartment building newspaper using carbon paper to her first pink manual typewriter. The story continues as the reader learns the secret to her success starts with writing everyday whether it be ideas, stories, or poems regardless if they ever get published or not. Photographs from her past and present provide another layer of her life, showing baby pictures to more current photographs taken by her son, Jason Stemple. These photos even show how she lives part of the time in Massachusetts, while the rest of the year in Scotland and that the most important part of her life includes her family. 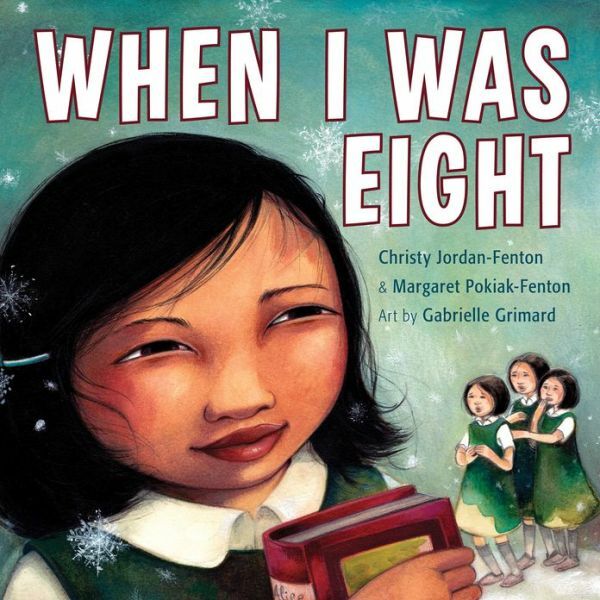 This book takes every age reader to a place where imagination and hard work meet. The organized format and straight forward voice keep readers turning each page to learn more about Jane. Be sure to check out her website at www.janeyolen.com to email her with your questions. Publisher: Richard C. Owens Publishers, Inc. Many youngsters wonder how books are created. There are many books on writing, but few are written for the fourth grade reading level. It is a real challenge to write a book that offers comprehension of such a complex subject for the fourth grade level, but Ralph Fletcher has done a masterful job of it without ever talking down to this young audience. Reflections is really the story of Fletcher’s life’s journey to becoming a writer. He introduces the reader to some of the realities of being a working writer with the story about the manuscript for his first novel and what happened to it. It’s quite a story. His childhood is the foundation of his writing life. Growing up in a family with nine kids gives him plenty of grist for his writer’s mill, especially since his mother taught him to be a true observer of everything around him. And that observation ability became absolutely critical to his writing. Fletcher not only writes about his writer’s notebooks, what goes into them, and what he gets out of them, but he includes photographs of his notebook pages so the young reader can really see the product. He discusses how he finds his ideas for a wide variety of projects. Youngsters will find hope for a writing future when they see how great ideas can come from the simplest things. Fletcher goes on to give a clear view of the writing process and how important the many steps are to successful writing. As any writer knows, revision is probably the most important and time consuming part of the process, and Fletcher spends some good time on that. This is a very realistic picture of writing as a career, and it is one fourth graders and up will find fascinating. Fletcher is a prolific writer with many books on writing, and Reflections is not the only one for elementary students. Poetry Matters: Writing a Poem from the Inside Out and How to Write Your Life Story are two of his other books that will be of interest to budding writers. On his web site, kids can find Tips for Young Readers (http://www.ralphfletcher.com/tips.html), a wonderful resource. He offers teacher handouts (http://www.ralphfletcher.com/teacher.html) as well. Go-go boots, beehive hair and bell-bottom pants! 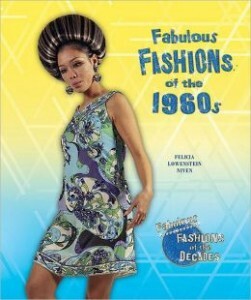 The fashions of the 1960s were casual, breaking away from the formal looks of the older generation. This book examines not only the fashions of the era, but some of the social conditions that contributed to styles. The 60s were a time of change. Designers experimented with advances in fabrics and other materials such as plastic, vinyl, and even paper. They used bright colors and bold patterns. Elements of Africa, Asia and India, as well Native Americans, appeared in clothing styles. Some hairstyles were bigger than the bouffant of the 50s and some were straight even if a person’s hair was naturally curly. Men’s fashions were more relaxed, too. No more hats! A man could wear a turtleneck sweater or a Nehru jacket and still be fashionable. Designers got ideas from such things as the Beatles and Woodstock. This was a time when small boutiques and individuals with artistic ideas could affect what was popular to wear. An insightful look into how people looked in the 1960s and why. A reading worksheet could be easily written using the table of contents and chapter subheadings as an outline to demonstrate the skill of writing from an outline as a literacy activity. The photographs are a good representation of the time. The book includes a timeline summarizing all the decades of the series, a glossary, a list of readings and internet addresses and an index. Fun series. Life has never been easy for Trix. An orphan and an outcast among privileged students in the boarding school where she lives as a charity case, Trix survives because she is stubborn and angry. Suddenly everything changes. It starts small. 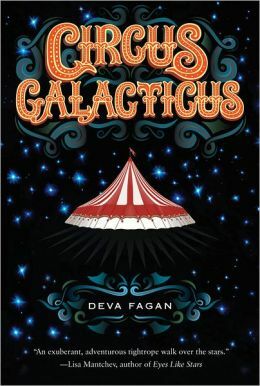 She can read writing that no one else can on the poster for Circus Galacticus. A strange man appears outside her dorm room window, climbing in her room and attacking her. Then her hair turns pink. She needs answers and thinks that the mysterious message on the circus poster may hold the key. She meets the Ringmaster and he offers her a place at the circus. This is no ordinary circus. This is an intergalactic spaceship filled with outcasts who are searching for a way to survive against the repressive government of the Mandate. Trix must find out what her talent is and if she fits into this complicated world of new creatures and new rules before she endangers herself and the entire circus. She learns that the piece of meteorite that her astronaut parents left her is something much more important than she thought and gives her valuable clues to who she really is. Throughout Trix’s journey of self-discovery, she remains stubborn and rebellious but she learns that she doesn’t have to always take on the whole universe by herself. Her courage to do just that helps her win the day. Lots of adventure and science fiction daring-do. Students can make a chart as a reading worksheet of each choice that Trix has to make, what her options are and what she chooses to do as a way of examining her character. There is a discussion guide on the author’s website: (http://devafagan.com/circus-galacticus-discussion-guide/). Although there is also a book trailer on the author’s website, students could make their own as a literacy activity. For the reader who likes cars, this is a must-read book. Beginning in 1901 with Henry Ford’s Sweepstakes car, automobile manufacturers have built some of their products mostly for speed. Until 1974, when the gasoline shortage became critical, many drivers sought increased speed, power, and sleek design. 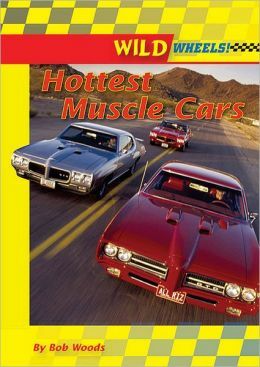 One of the best known of the muscle cars was the Pontiac GTO, built for fun as much as for racing. Ronnie and the Daytonas even sang about the GTO. In 1974, Pontiac downsized the GTO, but the style was revived in the 2000s. The 1964 Ford Mustang prompted the rise of the pony car. Powerful and light, it was an instant hit. It went through many changes, but the classic style made a comeback in 2005. Chevrolet has made both the heavy, strong Camaro and the small, light Corvette. Both have gone through many changes and have been popular over the years. The Dodge Charger led the pack for fastbacks. With huge engines and sleek designs, they did amazingly well in races. “General Lee” from The Dukes of Hazzard was a Charger. Abundant photographs help the reader to know these truly unique vehicles. Useful and entertaining sidebars appear throughout the text. This volume is part of the “Wild Wheels” series. It has a very good table of contents, glossary, and index. Fourth graders can learn more from the books and websites in the “Further Reading” section. The publisher’s website, www.enslow.com, has a free educator’s guide with numerous reading activities and reference for curriculum standards. Her father teaches Olemaun how to do many things; however, he cannot teach the eight-year-old Inuit how to read because he does not read himself. Hearing the books read to her by her older sister Rosie is no longer enough. To read them herself becomes Olemaun’s dream. All through the winter, she begs her father to let her go to school far from her Arctic home, but he refuses. He knows bad things about the school that she doesn’t. But Olemaun is nothing if not persistent. After all, her name means “the stubborn stone that sharpens the half-moon ulu knife.” Against his better judgment, he leaves her off at the school in spring when they make their long journey to trade with the outsiders. When Olemaun first arrives, the nuns strip her of her beautiful hair, her warm clothes, and even her dignity. They call her Margaret and treat her as a slave. When she is finally called into the classroom by a kindly nun, she hopes to learn to read; but the actual teacher turns out to be the same nun who had cut her hair with such pleasure. Instead of teaching her to read, the nun makes fun of Olemaun and puts her in a corner. After that, she takes every opportunity to prove Olemaun’s inferiority, giving her extra chores until her muscles ache. But Olemaun learns as she goes, studying letters before she wipes them from the board and sounding out the words on cleaning supplies. Even being given red socks as punishment and being shut up in the cellar cannot thwart Olemaun from her quest to learn to read. Readers at the fourth grade levels will treasure this book about Olemaun’s determination to read. The book has the feel of a fairy tale with a wicked stepmother, but it’s all the more powerful because it’s based on a true story. Although the prejudice underlying the nun’s cruelty will likely shock readers with fourth grade reading skills, Olemaun’s ultimate victory will make them cheer silently. Readers at the fourth and fifth grade levels will love to read about nine-year-old twins, Mattie and Mark Miller. Because of their selfishness, the twins often get into trouble—make that double trouble. When scene after scene in their Holmes County, Ohio, Amish community presents yet another opportunity to get into trouble, the twins do not disappoint. Whether it’s trying to avoid work—as Mark does when he’s expected to help man the fruit stand—or trying to avoid putting extra thought into a writing assignment—as Mattie does when she asks Mark for an idea—the result is disastrous and well-deserved. It’s bad enough when the twin’s selfishness leads to hurt feelings—Mattie abruptly leaves her grandmother with sad eyes after delivering flour and Mark abandons his friend when he doesn’t get the pony ride he expects—but the selfishness reaches an all-time high when it results in injuries to both their little brother and their horse. Will these two ever learn to avoid the bumpy ride and simply share? Since the twins are Amish, unfamiliar words will strengthen fourth and fifth grade reading skills. The words alone are fun and may even cause the more advanced reader to read aloud to their younger siblings. The glossary at the front of the book could be the basis for a reading worksheet, which would no doubt lead to increased reading comprehension. 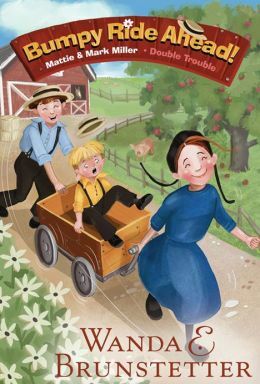 In addition, the Amish Fiction for Kids website provides ideas for crafts, games, and other fun stuff. Wanda Brunstetter’s Bumpy Ride Ahead! (Double Trouble) should be on any value-based reading list that covers the topic of selfishness.